Ohhhhhhhhhhh man. I'm sitting here on the couch in the aftermath of a wicked food coma with my friends' Boston Terrier, Obie, who is also my harshest critic and my most dedicated reader after my mom. You see, we had a happy Donist World Thanksgiving and stuffed ourselves to the gills on turkey, potatoes, stuffing, cranberry sauce and a whole host of other items including pumpkin pie. Of course Obie had only kibble with a bit of turkey and gravy on top, but hey he's a comic book reading dog and cranberry sauce can't be all that good him, but he at least has the spirit. I also happened to partake of the spirits last night which explains the needed couch time. As we reflect on our past glorious feast and look forward to the turducken that we will have next year, we have a bit of time to discuss some great comics that were released this week. The Sixth Gun #17 - Written by Cullen Bunn and illustrated by Brian Hurtt, published by Oni Press. The Sixth Gun continues to be one of the best and most unique titles on the shelves. Equal parts western and supernatural horror tale, this comic is one of my top five series and it should come as no surprise it has been picked up to become a television mini-series in the near future. Good things come to those things that are great. The golem of BillJohn stalks toward the stronghold of the Sword of Abraham as it becomes clear to Becky Montcrief that the monks she assumed were her allies are more interested in imprisoning her as opposed to protecting her. Brother Roberto tells of the Knight's of Solomon, a secret society seeking the power of terrible, mystical artifacts, including the six currently possessed by Becky and the missing Drake Sinclair. Gord Cantrell sits in the basement of a haunted plantation left with a choice to take a set of books that possibly contain information on how to the destroy the six, or to burn the books and see the return of his dead wife and children. With the aid of the sixth gun, Becky learns that Drake still lives and she sets her resolve to free the imprisoned man whether he wants her to or not. I have been saying for a while that I wanted to see Becky Montcrief step up and begin to take charge of situations as opposed to letting things just happen to her, and Bunn and Hurtt have delivered with this issue. With a glimpse into Drake Sinclair's fate after his disappearance for multiple issues, the next arc looks to reveal what happened to the man after his fall from the train, how he became imprisoned and hopefully his rescue by a newly determined Becky. Another great issue, that was light on action, but this was necessary for Gord to find the books and battle his own demons, while showing Becky and her new found strength. Although I loved this issue, it is not a good jumping on point for new readers, but then the first two trades are readily available with the third collecting this finished arc coming soon as well. If you are looking for something more than capes and tights that is well-written, expertly structured and beautifully illustrated, then you should be reading this exciting adventure. HIGHLY RECOMMENDED! The Shade #2 - Written by James Robinson and illustrated by Cully Hamner, published by DC Comics. Robinson's Starman was one of those books that immediately grabbed my attention with Jack Knight, an antique dealer forced into the role of a superhero while fighting against the family legacy and forced to confront villains bearing grudges against the Starman family. The series also had an impressive list of fascinating characters such as the O'Dare family, Bobo Benneti, Ted Knight (Jack's father), Mikaal, Solomon Grundy and most of all The Shade. All of the characters had a rich history and unique personality, but none so much as the reformed villain, Richard "Dickie" Swift, The Shade, who was my favorite character after Jack Knight. Now, the immortal master of darkness has returned in his own 12-issue series and Robinson does not miss a beat with the character he did not create, but rather defined. Last month's issue left the Shade handless, headless and presumably dead at after his confrontation with Deathstroke, but with 11 more installments to go, there was no way the death was going to be permanent. Swift shares a touching moment with Hope O'Dare and explains that he must disappear for her own safety until he can determine who has ordered his death. Will Von Hammer--I'm still not familiar with this guy--is still being hounded by assassins and has information for the Shade, who is busy asking Bobo Bennetti to watch over Hope and Star City while he is gone. The two men meet, but before anything can be discussed Bete-Noire--I don't know this villain either--arrives on the scene leading to a battle of shadow powers and a glimpse of an antagonist to come. I was shocked to see the Shade supposedly killed last issue and when the predictable reveal that he was not actually of the dearly departed came, the explanation of how he survived was logical and made sense, fitting perfectly with the character's line of thinking. Seeing Bobo Bennetti again was a great but short moment and I hope to see more of the man who is forever stuck in the '50s in future issues. Overall I'm pleased as punch with my favorite villain-turned-hero receiving his own series and I'm excited for what is to come. HIGHLY RECOMMENDED! I, Vampire #3 - Written by Joshua Hale Fialkov and illustrated by Andrea Sorrentino, published by DC Comics. I still know little about the "I...Vampire" story that appeared in DC comic's House of Mystery in the early eighties, and I was thrilled to learn that a collection of those tales will be released in February. I am most interested in this older material out of a sense of nostalgia for the times, plus I always wanted to read those stories as a kid, but always passed on them because of an allowance that only afforded me my precious Micronauts, Swamp Thing and X-Men comics. Now, after being drawn to this relaunch title by writer Fialkov, I will definitely be buying the original tales, not because I need them to understand what is happening in the relaunched title, but because the current creators are constructing one heck of a fine tale and I am curious about what came before. Professor John Troughton has been a close friend of Andrew Bennett, an immensely powerful vampire, since the moment he was saved from slaughter by rogue vampires 25 years ago. When Andrew collapses in his friend's doorway in the worst condition John as ever seen him, it's time to start worrying. Mary's vampiric army has spread to four cities, which is more than a man/vampire can handle on his own, but even with John agreeing to help the odds are still not looking good. The pair follow up on a lead that is a dead end, but introduces them to Tig, a young vampire killer who is more deadly than her looks would suggest. The newly formed trio discover an all-too-clear and intentionally placed sign that tells exactly where Mary Queen of Blood intends to strike next and a certain caped crusader will not be pleased when she makes her move. Contemplating the terrible task before them, John comes to a startling but simple conclusion about how to end the vampire menace once and for all. I am enjoying the heck out of this book, and this third issue further cements the fact that this is one of the 52 that I will be picking up for a while. 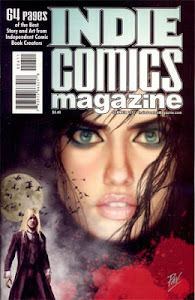 As I mentioned above, I only knew of the original "I...Vampire" story, but the relaunched title is a perfect jumping on point even though the first issue is a bit complex as I mentioned in the review of the first issue. Fialkov has done a wonderful job pulling me into this world and its characters and although I was worried about bringing the DC superheroes into the mix, I feel more and more confident that he will be able to pull off the meet up in a manner that is not hokey. Sorrentino continues to deliver some stunning pages--primarily the introduction of John in the '70s--and colorist Marcelo Maiolo drives home the mood of each scene to great effect. Even with the introduction of the DC heroes to this book, I am looking forward to see how this tragic love/horror story plays out. HIGHLY RECOMMENDED! Secret Avengers #19 - Written by Warren Ellis and illustrated by Michael Lark, published by Marvel Comics. I'm pretty sure this is the only Marvel book that I am currently buying. I intend to pick up Remender's Uncanny X-Force trade at some point, but I have been losing interest in Marvel for a while. I fully intended to drop this title as well, but Ellis's great stories keep pulling me back in, refusing to let me leave. The Secret Avengers are deployed to the city of Aniana in the country of Symkaria to stop a drug lord named Voydanoi from selling a mysterious new drug to the Shadow Council. Moon Knight poses as a wealthy business man with an interest in the women in the employ of the establishment, while Black Widow and Sharon Carter arrive as supposed escorts for Voydanoi. Meanwhile, Steve Rogers patrols the frigid streets only to barely escape with his life when he comes across a guard enhanced with what Rogers assumes is a modified super-soldier formula. Moon Knight is introduced to his girl for the evening, whose life he makes much better, before he dons his mask and proceeds to show how badass he really is. The Secret Avengers fight their way up to Voydanoi's office only to learn that the drug czar is actually selling a powerful demonic drug that enhances the user to supernatural proportions and one that he has been taking for quite some time. That was some damn fine action if I do say so myself. Ellis, created another great standalone issue filled with tension and some cool character moments that read all too fast. Moon Knight has some great fight scenes as drawn by Lark and the hero looked cool in his white suit, silver tie, white gloves and mask; I wanted to cheer with each super thug he took down. Overall a fun comic and one that I will gladly contribute my $3.99 to for as long as the superheroic stories of this caliber continue. RECOMMENDED! Have your doubts about Wonder Woman? Say you aren't into Morning Glories? Batman #3 - Written by Scott Snyder and illustrated by Greg Capullo, published by DC Comics. Before Scott Snyder came along, I would classify myself as a lapsed Batman fan. It was not that I didn't like the character, watch the cartoon shows, the movies, much the opposite, I love all those things, but I was not buying any bat books. Frank Miller's Batman The Dark Knight Returns and Batman: Year One, Grant Morrison's Batman: Arkham Asylum, Alan Moore's Batman: The Killing Joke as well as Jim Starlin's Batman: The Cult were the books that stuck with me for years, and although there are plenty of well-regarded runs out there--I need to read The Long Halloween--that I am told are must-reads, I have been stuck in the past with this loved character; no longer. The issue opens with a look back at Bruce Wayne's ancestor, Alan Wayne, supposedly experiencing dementia and ranting about being followed and watched. He then mysteriously disappears. Meanwhile, Batman is pummeling the heck out of a Ukrainian Mob and the Dark Knight dispatches them in one of the most unique ways I have ever seen... I'm still laughing about that one. Wayne and Alfred discuss the nature of owls and their habits, which leads the detective to discover how the Talon of the Court of Owls made his way into the tower to attempt to kill him, leading him to question the Alan Wayne Trust for Young Architects and the nature of superstition. From there he discovers the location of each of The Talon's secret nests for the past one hundred and fifty years, followed by an explosive conclusion. "Wow," has been my reaction after reading each of Snyder's Detective Comics and Batman books and this issue is no different. The reveal of the "owl nests" in each of the buildings was a thrill with the pictures of the masked owl members disturbingly chilling. What is it about Snyder and psychos with creepy-as-all-hell masks? It must be a phobia of his, which he has now extended over to me...brrrrrrr. Capulo's art and layouts continue to amaze me, especially with the fight scene at the rails and the look of each of the respective owl's nests that grew more technologically advanced through the times. My only complaint is that if not for the excessive squared jaw on Lincoln, he and Bruce Wayne would look identical. That nitpick aside, this is a fantastic book that all current and lapsed Batman fans should be reading. Exciting, creepy, at times funny, and ultimately engrossing, this is the superhero book to buy. VERY HIGHLY RECOMMENDED. Wonder Woman #3 - Written by Brian Azzarello and illustrated by Cliff Chiang, published by DC Comics. Wonder Woman, like Batman, is another character that I have not followed in any of her own titles...ever. She has always been one of my favorite superheroes, but I followed the Princess of Power through her appearances in other comics, never in her own. That was until the 52 re-whatever gave me the perfect jumping on point. I'm hooked. As the Amazonians build funeral pyres for the fallen who died because of a selfish goddess's meddling, Diana learns the truth of her birth and the danger that this revelation brings. Strife continues to push everyone's buttons and Hippolyta has no choice but to reveal Diana's true history as opposed to the one that gave her the derogatory nickname of "Clay." Thoughts of dissent run through some of the Amazons, until Diana, Wonder Woman, puts the smack-down (literally) on the growing anger and agrees to leave Paradise Island forever. Another great issue of Wonder Woman and there was little fighting to be found, only that of naked Zeus and Hippolyta "battling." *Who in their right mind fights in the buff against someone with a sword?! Crimony, that is a bad idea, but the guy is a god, so I guess he is relatively save* With mythology taking the forefront of this story and myths about Diana's birth being dispelled, this issue sets up the story for the inevitable wrath of Hera to come crashing down upon the self-exiled goddess and her odd assortment of traveling companions. There is still much to be told of Diana's past with further glimpses into her character and Azzarello is definitely the one I want to take me there. Chiang's art continues to be beautiful and I hope to see him involved in the exciting pages that are to come for this great comic. HIGHLY RECOMMENDED! Morning Glories #14 - Written by Nick Spencer and illustrated by Joe Eisma, published by Image comics. I have to admit that a few months back I was wavering on whether or not I wanted to keep this title. I was fearing that a Lost (the television show) effect was beginning to set in on Morning Glories, with more questions being raised with each tiny reveal. Don't get me wrong, there are still questions being raised and the clarity on the mystery is slightly less opaque, but I get the feeling now that everything is happening for a reason. I'm glad I stuck around. In 1693, a woman (witch? ), who we don't know, knows something that some other men, who we also don't know, want to know. Do you know what I mean? Miss Hodge attends a faculty meeting with Miss Daramount and Mister Gribbs to discuss the importance of Woodrun (?) and to threaten one another by tattling to the mysterious Headmaster of each other's failings. A familiar scene plays this time from Zoe's perspective and showing that the mean-girl might have gained a little respect for Hunter, who she originally thought to be a weak-willed wet blanket. The girl we don't know, agrees to divulge what she knows to the people we don't know, but we still don't know what it is that she knows, but I know it will not end well for her. Jun, Hunter and Zoe are paired together for Woodrun, but in the course of their bickering the lights go out, leaving an angered Mister Gribbs and panicked Miss Daramount to wonder where all of the kids have gone. As I have said for the past two issues, I have no idea what's happening, but I am intrigued and invested in the story enough to anticipate the next installment. I like that the feel of the book has gone from a weird college why-can't-we-all-just-get-along vibe to a much heavier Twilight Zone feel. I am identifying more with the characters, primarily Hunter and especially Zoe, who falls apart so well in this issue that I cannot help but feel sorry for her. Something is stirring within this complex story that is going to take a while to work itself through, but I sense it will get there at exactly the pace Spencer has constructed from the very beginning. Two things to mention: 1) This is not a "jumping on point," and you should probably pick up the trades or wait for the big 400 page hardcover next month, 2) BIG props to Spencer for "holding the line" on this whopping 32 page comic at $2.99! Marvel, DC...this is how you sell comics. Substantial content at a reasonable price. Although Morning Glories is confusing at times and not for the tights-n-capes only crowd, I definitely have to say this comic is HIGHLY RECOMMENDED! Batman Obsession Kicking In Because of Scott Snyder and That Darn PS3 Game - Dang it. Batman, Batman, Batman. That Arkham City game is driving my crazy. Until my month of illness (read about it here for the gruesome details) I rarely played video games, but having so much time requiring me to sit on the couch coupled with not having my brain functioning properly gave me the option of television or playing a game. After reading Scott Snyder's amazing Detective Comics and the current Batman series, Batman has been pushed back into the realm of my favorite heroes. Following those books and then reading some positive reviews of Batman Arkham City I had no choice but to buy the game to pass the time while I recovered. Now here I am trying to Platinum the stupid thing, which I never usually have interest in doing, and generally having a grand ol' time flying around pulverizing unsuspecting thugs. So much fun. Now I fear my returned love of Batman is becoming an obsession. Is it really so bad that I wear adult-sized Batman underoos to bed as well as a cloth Batman mask? What right does my Amy have to be mad about this? And HR should really not have a problem with my dressing up as Batman and--on alternating Wednesdays--Robin complete with green chainmail speedo...I mean the employee handbook says a casual style of dress is acceptable and to use my better judgement, which I have. What's the problem? It's Bat-Day every day at Donist World. No song today as all of our Donist World bands and musicians have a clause saying that they only perform on Fridays as Saturday is "slice and a beer" for $4.95 at Creekside. That said, David Lee Roth wouldn't budge on doing a quick performance no matter how much Obie pleaded, but maybe in the weeks to come he'll "Jump" for a chance some Friday. Only time will tell. Batwoman #3 - Written by J.H. Williams III and W. Haden Blackman and illustrated by J.H. Williams III, published by DC Comics. There is a reason why I went all the way back downtown, two days after visiting my LCS, and it was in the hope that the mysterious lost shipment from Diamond Distributors delivered so I could get my mitts on this book; today was my lucky day. Issue three of Batwoman is not as good as the outstanding second issue, it is actually better. Continuing the "Hydrology" storyline of the terrifying Weeping Woman who has been drowning the children of Gotham, Batwoman has met a foe that she does not understand and "who" threatens to destroy her emotionally. Kate Kane is pulled beneath the waves by the apparition as she experiences firsthand the chilling touch of the ghost who is abducting and killing the city's children. Barely escaping with her life, but with the demons of her past brought to light, Kate is confronted by agent Chase and her team, none of whom are a match for Batwoman who escapes with ease. Unfortunately escaping the damage done by the Weeping Woman proves more than she can handle, leaving Kate to fire her cousin, Flamebird, from her tutelage. Cameron Chase attempts to strongarm Kate's father to no avail and as Kate's world falls apart, she learns that she might not have to face things alone. Crimony! 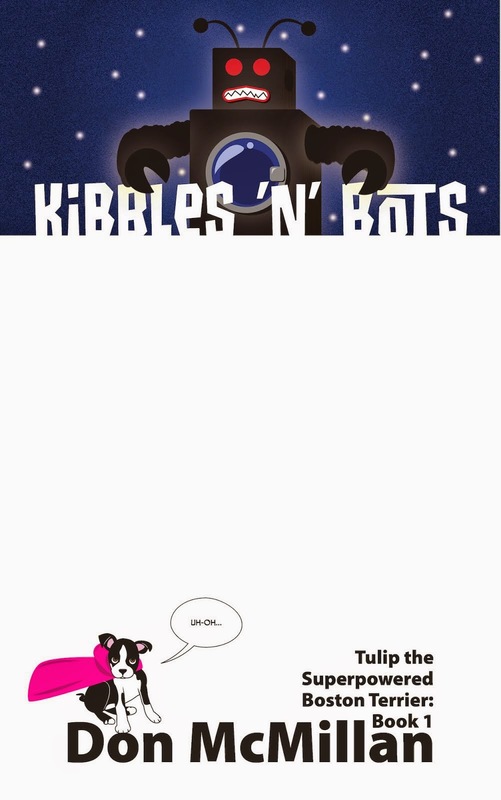 Issue four cannot come soon enough. Blackman and Williams III created one of the most frightening--and beautifully illustrated--sequences of pages with Batwoman's near-drowning that I have ever seen. Follow this with more of the highly-rendered Batwoman fighting the practically flatted Chase and her cronies to the bright real life scenes with love-interest Maggie Sawyer, you are left with one of the best looking and most engaging comics released this month. I will be double dipping on this one when the hardcover collection is released later in 2012. If you love superheroes and a steely female lead who is fascinating, complex and at times realistically flawed then this book should not be passed by. VERY HIGHLY RECOMMENDED! Green Lantern #3 - Written by Geoff Johns and illustrated by Doug Mahnke, published by DC Comics. I have always had an interest in the books that take a multi-dimensional bad guy and give them a moment to be the hero, to shine and quite possibly redeem themselves to some extent, which is part of the reason I am enjoying Green Lantern or as it should be called Sinestro the Green Lantern. Like the previously mentioned Batwoman, the third installment of this comic manages to slightly improve on an already fun second issue. Carol Ferris switches on the television to see that Hal Jordan is back to being a Green Lantern, but what shocks her the most is his apparent partner, Sinestro. Hal agrees to aid Sinestro in his quest to free the people of his home planet, Korugar, from the menace of his old Yellow Lantern Corp. After some amusing verbal shredding, Sinestro fills Hal in on his plan to take down his old followers and the unlikely team set out to do the impossible. But can two Green Lanterns defeat hundreds of Yellow Lanterns and has Sinestro been completely honest with Hal Jordan? I did not see this ending coming at all, and I am curious to see how this months shocking conclusion plays out next month. Boy-o-boy, looks like some bad news for Hal, but he is honestly not the character I am most interest in here. Sinestro continues to be the star with his horrendously rude, pompous, but usually correct assessments of Hal Jordan and despite the ending of this installment, I am betting that his plan has not fully played out yet. We will see. Doug Mahnke's art is superb with exciting and dynamic action sequences that keep the story flowing. I did not expect to like this book as much as I do, but I will say that I am excited for what comes next. Great superheroic fun! HIGHLY RECOMMENDED! Diamond Distributors Making Me Wait For These Books - No use crying about it, I did get my hands on these books after all, but I would love to see some competitor to Diamond rise to break up this nice little monopoly they have going. Dare to dream. Some book I really need, that would be very nice. That Beck girls's rocking you see? Rachel Rising #3 - Everythinged by Terry Moore, published by Abstract Studio. Holy moly I am loving this book. I was already a fan of Mr. Moore from his Strangers In Paradise series and the recently completed Echo series. I became even more impressed with his works after sitting in on a few of his inspiring panels at SDCC and Wondercon in the past and I was curious as to how Moore would handle a horror comic when he announced Rachel Rising. Now I know...with mood, a fantastic central character, a dark chill-inspiring character and the looming mystery of a woman investigating her own murder. Rachel Beck was murdered a few days ago, but for good or bad, death didn't stick. Suffering from memory loss, Rachel sets off on a journey to discover what happened and more importantly who was the cause of her demise, leading her to The Blue Note jazz club. Aside from dazzling a bartender with her beauty, Rachel's evening becomes more confusing when she coughs up a bit of rope before foretelling the death of a soon-to-be-wed woman named Natalie. Meanwhile, a woman who bears a striking resemblance to Rachel uses her mystical (?) abilities to incite a man to murder his wife-to-be Natalie, the very woman who Rachel just frightened in the The Blue Note bathroom. Rachel notices her doppelganger and follows her to the rooftop only to find the woman gone and Natalie's dead body rolling down the roof to knock her off the building to cold, hard surface of the street five stories below. The issue ends with the little girl from last issue torching her home and driving off to dispose of her dead sister's body, who she murdered after speaking to Rachel's double. Again, I loved this issue. Currently, I barely know more about what is transpiring than Rachel Beck and I am fine with that. Moore has set up a deliberately slow-paced murder mystery that pulls the reader in to join Rachel in her attempt to solve her own murder. As fragments of what has happened are uncovered, new mysteries come into play, such as Rachel's ability to predict someone's death, but not in a Lost (the TV show) sort of way. Every reveal is here for a reason that might take a while to unfold, but that is all part of the fun of this series that leaves the reader thinking about the most recent events up until the highly anticipated next issue which cannot come soon enough. Great character designs, painstakingly detailed backgrounds and a phenomenal action sequence ("Kool" goes ouch...read it) only enhance this great new series that reminds me of the best moments of Twin Peaks and leaves me with the same feeling of trying to sleep after watching a particularly scary psychological thriller. It's safe to say that I like this book and you will too. VERY HIGHLY RECOMMENDED! Demon Knights #3 - Written by Paul Cornell and illustrated by Diogenes Neves, published by DC Comics. Last issue had fighting, spell casting and Vandal Savage remembering the wonderful taste of dragon meat. This issue had none of that, opting to slow things down and focusing on looking more at the characters and the dire situation they are in. I am totally fine with this. Etrigan streaks through the sky on his recently grown wings, while carrying his immortal (?) lover, Madame Xanadu, in his arms away from a powerful mystical barrier that she has just created. The problem is that the spell took nearly all of her power and the cost has withered her to an ancient crone. In anger, the yellow-skinned demon does something not very nice to a happy cleric. Vandal Savage sets out to build an army from the slim pickings available. The mysterious warrior-woman (Amazonian? ), Exoristos, and the Shining Knight build a wall. Exoristos is convinced that the Shining Knight is a girl--an incredibly strong one at that--and the androgynous knight briefly mentions a terrible quest that she/he is on. Finally, Exoristos not just allows, but encourages a young girl to attempt to sneak past the waiting horde on the other side of the magical shield to a disastrous, but realistic end. The horde might be hungry for blood, but the Demon Knights are filled with fury--except for Vandal Savage, who is thrilled at the impending bloodshed; the invaders don't stand a chance. After two issues of action and fighting, issue three focuses on letting the reader have a quick peek into who the protagonists are and to great effect. I want to know more about the story of who this Exoristos woman is and I can't wait to hear the tale of the Shining Knight and his/her terrible quest. Al-Jabr, the seemingly powerless engineer, holds much intrigue as well. Then there's Vandal Savage with his could-care-less attitude and fun-loving spirit, who is the star of this series thus far, but I suspect that when the immortal man eventually does let anger reign it will be momentous. 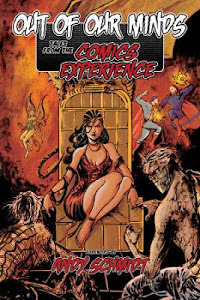 The unnamed horsewoman and Madame Xanadu are interesting, but the oddest thing about this serious for me is that the character I care the least about thus far is Etrigan, which is odd seeing as how The Demon has been one of my favorite characters since I was a child. Despite this, Demon Knights is a great book and I am dying to see our heroes kick the bejesus out of that mean, mean, mean red-haired jerkface next issue. I also have faith in Cornell to bring my much-loved demon to the forefront of this fantasy team book and allow him to become the great and possibly tragic character he is supposed to be. HIGHLY RECOMMENDED! Frankenstein Agent of S.H.A.D.E. #3 - Written by Jeff Lemire and illustrated by Alberto Ponticelli, published by DC Comics. Where the hell was this book when I was seven? Seriously. As much as I loved The Micronauts, Swamp Thing, Spider-Man, Batman, Iron Man, Aquaman and all the rest of those guys, I was enamored with the Hollywood movie monsters. Dracula, the Wolf Man, the Creature From the Black Lagoon, Frankenstein's Monster, and the Mummy. All these guys rocked my world and those scary Hammer Horror movies that I was probably too young to be watching only made me love those characters more. Now in my...slightly older years...I have the comic I dreamed of and I'm a kid all over again, only now I'm a married, beer drinking, stay-up-as-late-as-I-want "adult" kid. Candy before bedtime? Don't mind if I do. Frankenstein and his Creature Commandos arrive to rescue Frankenstein's (ex)wife on what they regret to find is a planet of horrid monsters. Hopelessly outnumbered with the tide of the battle turning against them, Khalis, the mysterious mummy, casts a magical spell that knocks him unconscious, but saves the day. Unfortunately, the egg-shaped ship that brought the unlikely heroes to the monster planet was damaged and needs time to self-repair. What's worse is the monster planet is moving toward a portal that will bring it to Earth. During a briefing on the situation, an enormous "Spider Titan" appears, but an unfazed Frankenstein takes care of the menace in a gruesomely amazing manner. The team then learns they have three hours to vanquish a sea monster titan and an ogre titan before the planet breaches the portal to Earth and they are forced to split up to meet the challenge. Back on Earth Ray Palmer and "Father" learn that their troubles are just beginning. This comic is just plain nuts and it's clear that Lemire is enjoying doing whatever he wants, which is part of the strength of this title. A successful mashup of classic horror and weird science, Frankenstein Agent of S.H.A.D.E. is not something I ever expected to see come from today's DC Comics, but I am thrilled to have this title and hope it continues for some time to come. I also need to point out (SPOILERS) the awesomeness of Frankenstein jumping down the Spider Titan's throat and bursting through it's chest, which has been done before, but in this instance he also brings along with him the creature's heart, which he impales with his sword in front of his team. How often do you get to see that?! HIGHLY RECOMMENDED! Diamond Distributors - I should probably watch what I say here as I hope to someday soon have my own comics going through the near-monopoly that is Diamond Distributors, but that said they shorted my LCS half of their shipment. What this meant was no Batwoman or Green Lantern yet and I was highly anticipating picking up those books. They might deliver today, or they might show up next Wednesday, but who the heck knows. For a comics store enjoying a definite upswing in sales, seeing a late/delayed shipment of about 500 books can be damaging, but with any luck they can convince shoppers to pick up an extra trade or better yet a new title such as the amazing Stuff of Legend, The Sixth Gun, or Locke and Key. I will write a "Part II" to this entry once I have my missing comics. Waiting blows. Boo hoo. Where can I find more comics like that? Animal Man #3 - Written by Jeff Lemire and illustrated by Travel Foreman, published by DC Comics. Ewwww! Gross! Disgusting! Awesome! Give me more! When this title was announced, I was intrigued enough to give it a shot. It had a character that I loved from the Morrison days and a story steeped in horror that I could not ignore. If I had to choose only one title of the 52, Animal Man would be the title that I bought for years to come. Buddy Baker (Animal Man) is having a terrible time wrapping his head around the events of the past day. As he travels through The Red, a world of blood and life, and his body threatens to be torn asunder by his lack of understanding, it is his young daughter, Maxine, who is in control and understands exactly what is happening. Once calm and adjusted to being in The Red, Buddy meets the Totems, previous Animal Men from times gone, but in talking with them he comes to a harsh realization that there is more to Maxine than he is ready to accept and his role in the coming battle with "The Rot" is not what he wishes it to be. Meanwhile, the Hunters Three split up to confront Buddy and Maxine and to chase down his powerless wife and son. Animal Man continues to be an amazing series that immediately leaves me wanting the next issue after each read. Yes, it delves heavily into the grotesque world of The Red and much of the imagery might turn away some potential new readers, but this should not detract from the compelling story that Lemire has crafted or the fascinating characters, who despite having powers and abilities have all too real relationships and fears. Foreman continues to deliver striking and disgusting visuals that work well in furthering the story and creating Lemire's world. Brrrr...his final panel of this issue alone is enough to give me the willies. My only complaint for this book is that a couple of panels seemed blurred, or overly smudged, but I believe that might be an issue with the production, but it was not enough to pull me out of this wonderful book. Animal Man is my favorite of the new DC 52. VERY HIGHLY RECOMMENDED! Swamp Thing #3 - Written by Scott Snyder and illustrated by Yanick Paquette, published by DC Comics. I know that I just said that Animal Man is my favorite book of the new 52, but Swamp Thing is a close second. In fact, I kind of want to lump these two books into one animal/vegetable hybrid...Animal Thing, or Swamp Man, or Animal Swamp Thing Man. I can't imagine buying one or the other of these fantastic books that I hope to see for years to come. This issue opens with Dr. Durock talking to a young boy named William, who has to spend his time inside a bubble that filters out the allergens and toxins that threaten to kill the boy...mainly chlorophyll. Back to the main story, Alec Holland is being held at gun point by the beautiful (I like the new haircut) Abigail Arcane who demands that he prove he is actually Alec Holland. He does this in a startling display of his still present powers over The Green. William is tormented by wicked, evil terminally-ill children, but he strikes back in an unexpected and startling manner reminiscent of the Miracleman "Olympus" storyline. Abigail then reveals a secret to Alec about the young William that I also did not see coming, ending with a page that gave me the chills. I'm surprised that I did not have more twisted dreams last night after reading these two complementary and horrifying titles. I have to admit that I had reservations about anyone writing Swamp Thing after the Alan Moore run that is one of my favorite comics of all time, but three issues into the new series and Snyder is doing just fine. The slow, creeping terror of this book is building in such a way that allays all my worries about the series, leaving me one happy and scared camper. Paquette's work is adapting nicely to the title and although great from the beginning his art continues to improve with each issue. I also appreciate the cover that is reminiscent of the old Saga of the Swamp Thing Tom Yeates covers (I liked the Yeates shout-out on Abby's jeans btw), with a killer eye-catching triadic color scheme (a side thanks to Chris Sotomayor for the informative and challenging coloring class this summer!). If you are a fan of engaging and intense horror stories, you cannot go wrong with this title, BUT you are doing yourself an immense disservice if you do not pickup the complementary Animal Man title as well. VERY HIGHLY RECOMMENDED! Sweet Tooth #27 - Written by Jeff Lemire and illustrated by Matt Kindt, published by Vertigo Comic, a DC Comics imprint. "The Taxidermist" storyline continues with again no appearances by Gus, Jepperd or any of the rest of the Sweet Tooth cast, but that is okay as the story begins to clue the reader into what happened to the world. James Thacker and his crew have found Louis Simpson in the frozen and perilous regions of Alaska, but unfortunately the man did not want to be found. In fact, Simpson was the one who sabotaged their expedition from the beginning and is now considered a member of the tribe living in the region. Simpson believes that his attempts to thwart the expedition was a way to save the lives of the search party as a sickness had killed all of the missionaries that came before them; a sickness that Simpson unleashed into the world. He then tells of a strange cave filled with stone tablets, especially one that bore the likeness of a deer that when opened contained the skeleton of strange creature. After his desecration of the tomb, the sickness came and the elder blamed Simpson. Thacker believes none of what he was told until his friend shows him his son, a baby born with antlers. As confused and hesitant as I was with the last issue, I am fully back to loving Sweet Tooth after the insane reveals in this latest chapter. Now I desperately want to know how the final installment in "The Taxidermist" storyline fits in with the present world of Sweet Tooth and there are still many questions to answer. Kindt continues to be an excellent fill-in artist for Lemire and this glimpse into the past has jumped one of my favorite comics back up to HIGHLY RECOMMENDED! Action Comics #3 - Written by Grant Morrison and illustrated by Rags Morales and Gene Ha, published by DC Comics. The book that did the impossible and made me once again excited about Superman returns in a less action packed if not hastily paced issue. Although a somewhat abrupt and slightly disjointed outing, Action Comics continues to be a fun and exciting look at the early days of the Man of Steel. The story opens with a flashback of baby Kal-El with his mother, Lara, at a party for her sister, only to be warned by her husband, Jor-El, to leave Kandor due to the invasion of an alien consciousness that is taking over the planet and killing its inhabitants. In real time, a roughed-up and frazzled Clark Kent is awakened by his landlady and Inspector Blake who is investigating the young journalist under suspicion of pushing Superman into action against businessman Glen Glenmorgan. Jimmy Olsen and Lois Lane attempt to entice Clark to work for the Daily Planet, while Glenmorgan attempts to pull attention from his illegal activities by successfully turning people against the alien Superman with the aid of the media. Clark Kent sets out to expose another businessman replacing his workers with robots, only to find that those robots have come under control of the same alien consciousness that destroyed his birth planet. At the end, the true villain takes shape in a modified human body. Another great issue in this series, but as I mentioned above, some sections moved far too fast to convince me that Superman would go from being a hero in issue two to a feared menace in issue three. I respect and love how this comic takes situations very much alive in the today's world, but more than a page or two was needed to make this change come across successfully. There was also an odd panel that out of nowhere shows Clark sitting on a park bench as a homeless person tells him that a white dog (a ghost) watches over him, with no other transition given; I am guessing this to mean my main puppy, Krypto. Jarring actions aside, there is still plenty that is done right, especially with the characterization and the movement of the story. Fun, exciting and a book that I look forward to reading next month, Action Comics continues to be a stellar read. RECOMMENDED! Stormwatch #3 - Written by Paul Cornell and illustrated by Miguel Sepulveda, published by DC Comics. Although I have read some complaints about this title, I am still enjoying it and will continue to buy it for a few more issues at least. I am wondering when Apollo will actually put on the uniform that he has been shown to wear on the all three covers, yet he has not changed out of civies in the interiors. Things that make you go, "hmmmm." Jack Hawksmoor consults with three of the major cities of the world in order to discover how to combat the monster that landed in Colorado--in a very clever manner I might add. Apollo soars into the heavens to engage the monsters rocketing towards Earth, while Jenny Quantum and the Engineer "rescue" Harry Tanner who has just taken the knowledge of "The Scourge of the Worlds." The situation in Colorado is worse than expected and with Apollo occupied, the rest of Stormwatch attempt to fight the monstrous creature that is absorbing everything it touches and the the hidden city in Colorado refuses to listen to Jack. In the end, one member of the group stands to fight the menace that threatens the world. Where Action Comics was light on action, Stormwatch had an abundance, and that is what made this issue so enjoyable. There was still some essential character moments, primarily with Hawksmoor and Cornell's unique vision and personification of Paris, Metropolis and Gotham reminding me of how much I loved Warren Ellis's version of the "God of Cities." This title has a lot of promise and will hopefully become as great as Cornell's other title Demon Knights, but more time and pages are needed to develop the large cast of characters. My main criticism thus far lies with some inconsistent depictions of the characters from issue to issue and at times from panel to panel, but this is a minor point and did not overly detract from my enjoyment of this comic. RECOMMENDED! Witch Doctor #4 - Written by Brandon Seifert and illustrated by Lukas Ketner, published by Skybound, an Image Comics imprint. The final issue--of the mini-series--of the "House meets the Supernatural" mashup arrives and it continues its mad whirlwind of monsters, medicine and curing the common "Patient from the Black Lagoon." At the "Mystics Without Borders Board Hearing" Dr. Vincent Morrow is under review and at risk of losing his mystical medical license over his unorthodox methodology. He launches into the final portion of his tale of how he, Eric Gast and the monstrous Penny Dreadful took down the Cthulu-worshipping gillpeople with magic pills, extreme violence and harsh, mocking criticism. What Morrow deduces is that the gillpeople are afflicted with a reproductive bacteria and treating bacteria is a simple matter of using antibiotics. But how do you administer antibiotics to a small army of creatures that wish to tear you and your friends to pieces? The Witch Doctor gang win the day and Dr. Morrow shows the board who's really in charge, but the victory might only be a bandaid on a deeper problem. The "final" issue was all sorts of fun in all of its tense, humorous, and gruesome glory, but this is not the end of Witch Doctor, as a one-shot is set to release in December with a followup mini coming in 2012. Much congratulations to Seifert and Ketner on the success of this unique and enjoyable first-time comic book. I also need to point out how much I love Ketner's creatures with special praise going to the goofy looking gillman with the angler fish lure-light coming out of his head...too funny. This is not a book for the faint of heart or those with a weak stomach and probably not germaphobes either, but if you are a fan of horror mixed with doses of comedy and wit, then you will definitely enjoy this book. RECOMMENDED! Too Many Comics, Too Little Money and Overly Late Books - Crimony. I bought nine books this week, which was pricy and I still have not had a chance to read two of the comics yet. The seventh book that I read was good, but I will probably talk about that series as a whole at some later date. Not to be overly mysterious, but the book was so delayed that I have forgotten much of what happened in previous issues. The same can be said of late comic book number eight, but unread comic number nine is Mystic #2, which finally arrived at my shop and I hope to read it this evening. I have a sneaking suspicion that I will really enjoy Mystic #2 and #3 and that they will be appearing on FSoH/SitW at a later date. HEY! Mystic #4 was supposed to be released this past Wednesday...dammit!